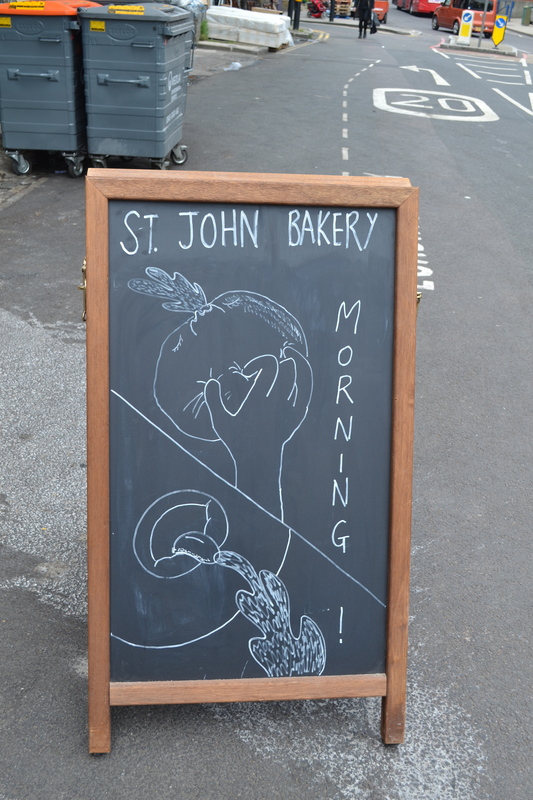 When I first heard about St John Bakery doughnuts, I was wondering what the fuss was all about. 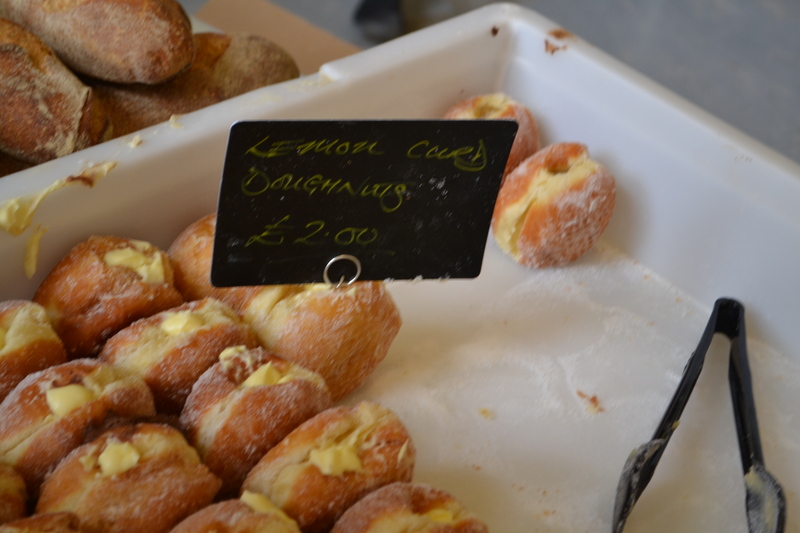 It was after all a doughnut, and a fairly simple one at that – a cream doughnut… not even a cronut…and not even iced. The doughnut itself is light and airy with a brioche inspired consistency and golden glaze. It’s covered with a generous powdering of sugar and a rather unhealthy injection of creamy filling which is a bite away from total eruption. But it’s the filling that really makes the doughnut. No stodgy, jelly like artificial substance here. Expect a dense creamy centre of vanilla custard cream infused with vanilla pods. It’s almost impossible to eat these elegantly but they are certainly worth getting your hands dirty for and even a sticky chin. 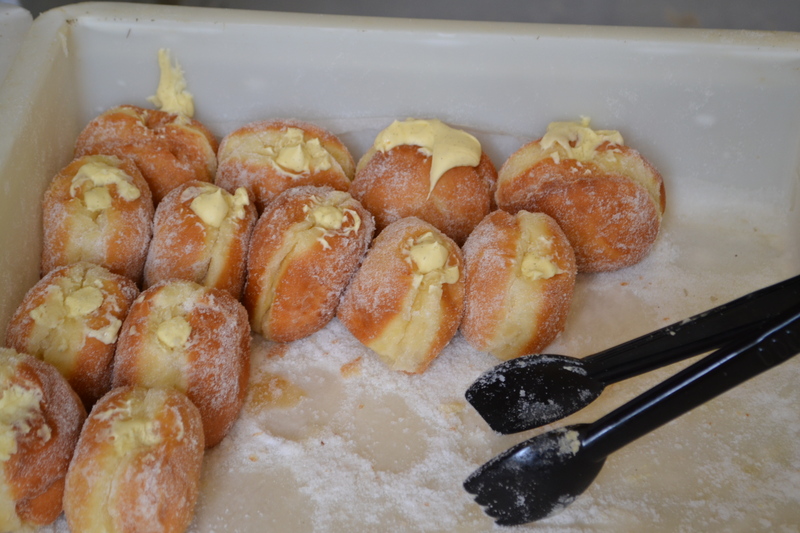 If you are feeling adventurous, there are also freshly baked lemon curd and jam doughnuts available. If that’s not enough to make your mouth water, the bakers regularly add modern classics to the mix like rhubarb and custard and even salted caramel, so expect a surprise with every visit. So how healthy are they compared to other doughnuts? Well they definitely stand up to the grease test. 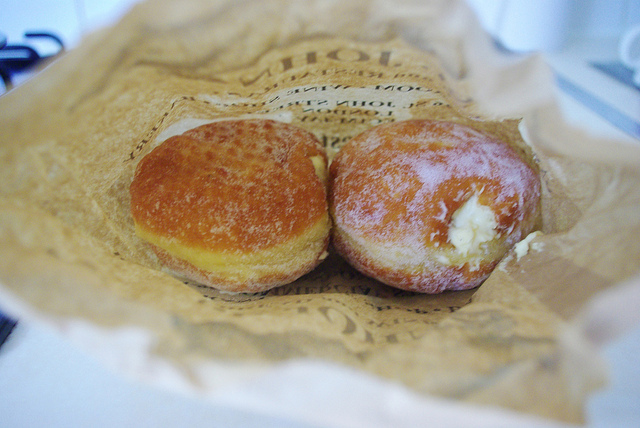 The brown bag only had a hint of oil from the doughnut on it, so maybe it’s not as unhealthy as I first thought. But it’s not all about the doughnuts! 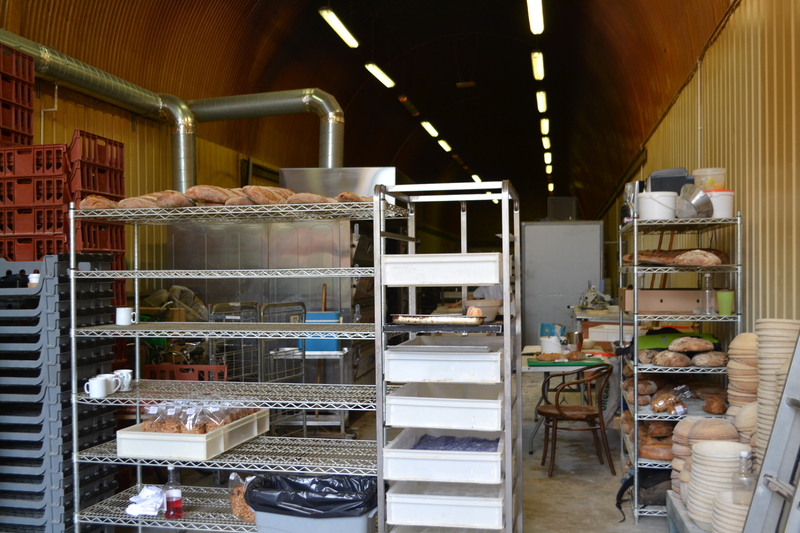 St John bakery also sell freshly baked rye and sourdough bread, decadent chocolate brownies, eccles cakes and Madeleines with a cheeky cup of hot chocolate. 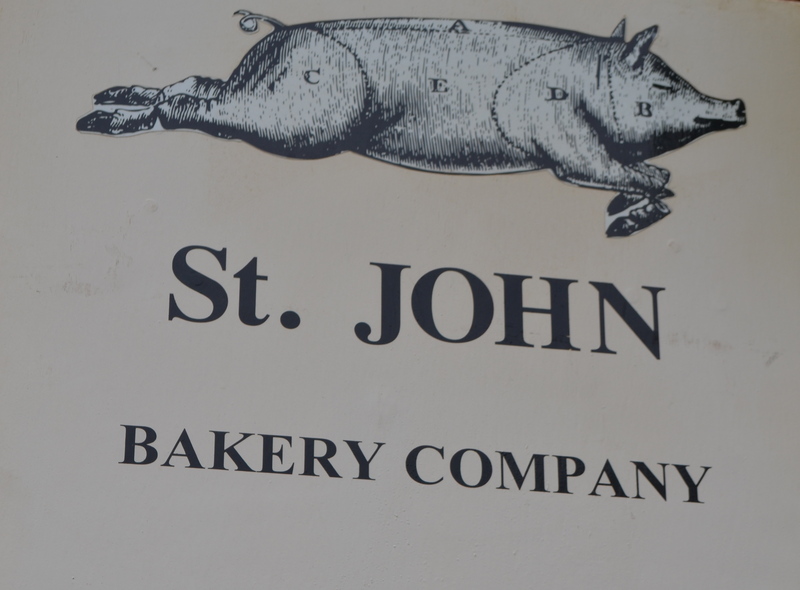 So add the St John Bakery doughnut to your food bucket list, you won’t be disappointed. If you are brave here is a recipe if you would like to try it at home. 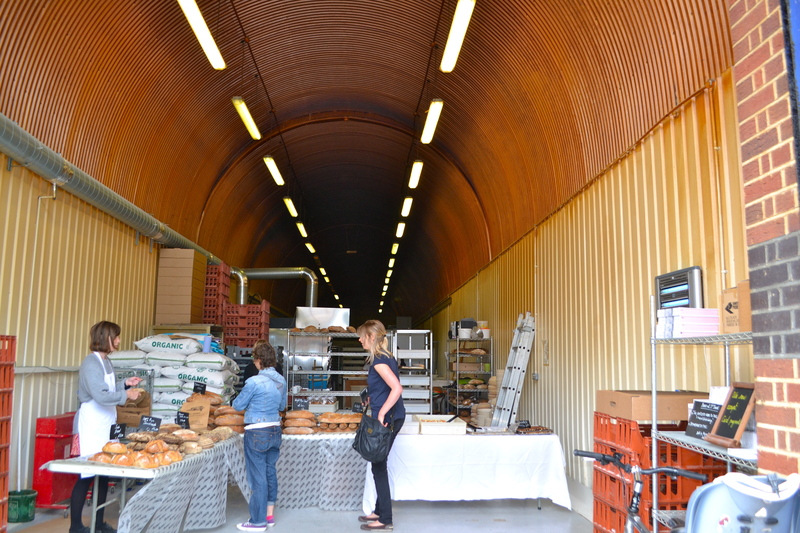 Opening Hours: Every Saturday 9.00 am – 2.00pm. Doughnuts are also available from St JOHN, Smithfield on Thursday and Friday, at St JOHN Bread & Wine on Thursday, Friday, Saturday and Sunday. I’m going to have to go back if they have a salted caramel one – mmm!